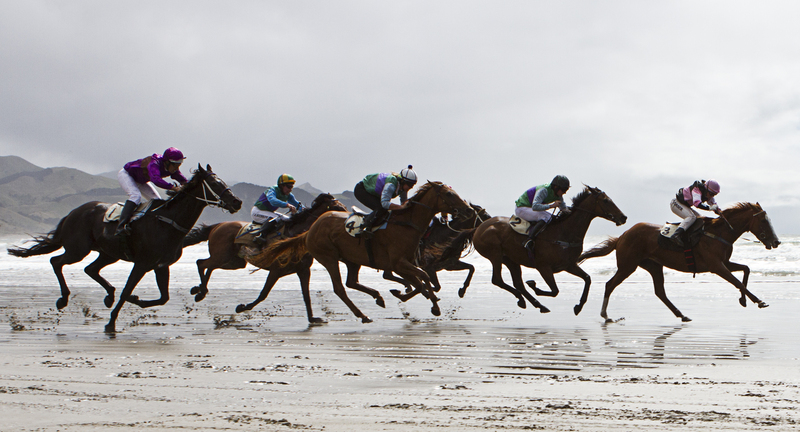 The thundering of hooves across wet sand and the cheering of the crowd... that's the sound of the Castlepoint Beach Races, an annual Wairarapa Event usually held in March, but dependent on beach conditions and tides. The beach races date back to 1872 when local farmhands would race each other for bottles of rum and stray coins. Today, thoroughbreds have replaced farm hacks and the day is as much about picnicing and family as it is about horses. Betting is allowed but you'll be allocated a horse at random, for a ticket price of $2.